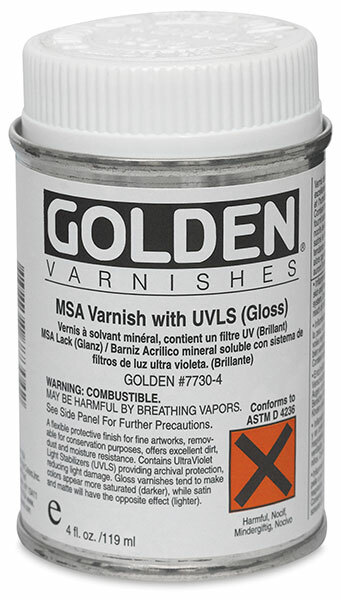 Golden's MSA Solvent is the ideal solvent for thinning Golden MSA Topcoats, which must be thinned before use. MSA Solvent assures clear, clean, even application time after time. 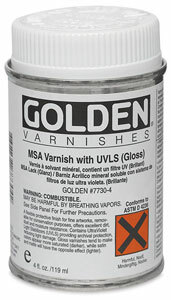 This solvent can also be used to remove an MSA topcoat at a later time for restoration purposes.